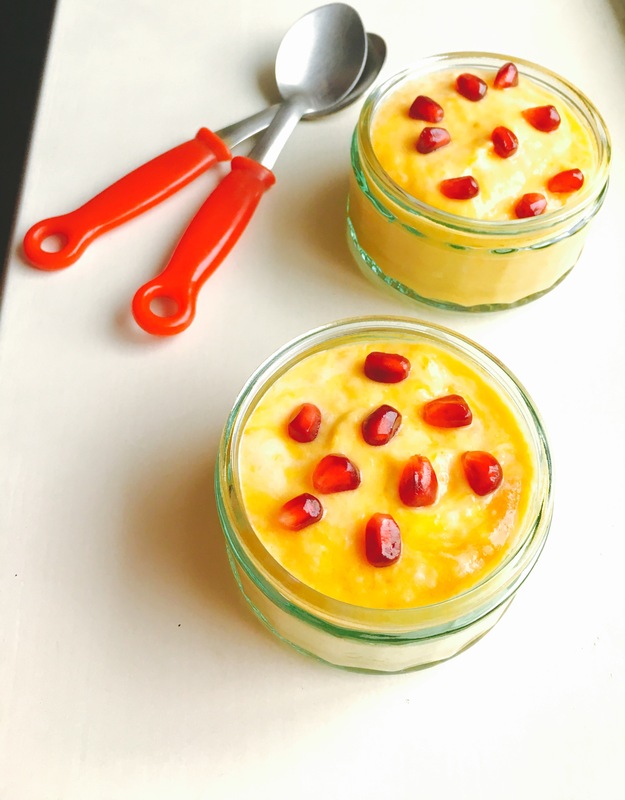 If you have not tried Indian mangoes yet, I suggest trying some this year, trust me, it will change your life – they tend to be high on flavor, texture, aroma, color & taste. They certainly tick a lot of boxes for me while shopping for mangoes. If mangoes are the king of fruits then, the king of mangoes are the Alphonso variety from India – They are not called ‘The King of Mangoes’ for no reason – these guys send you to mango heaven within the first bite!! The region’s culture/art is best represented by the beloved paisley design – no coincidence there! Thank you Miss. R for the lovely ramekins! Wash & chop the mangoes and add into a blender. 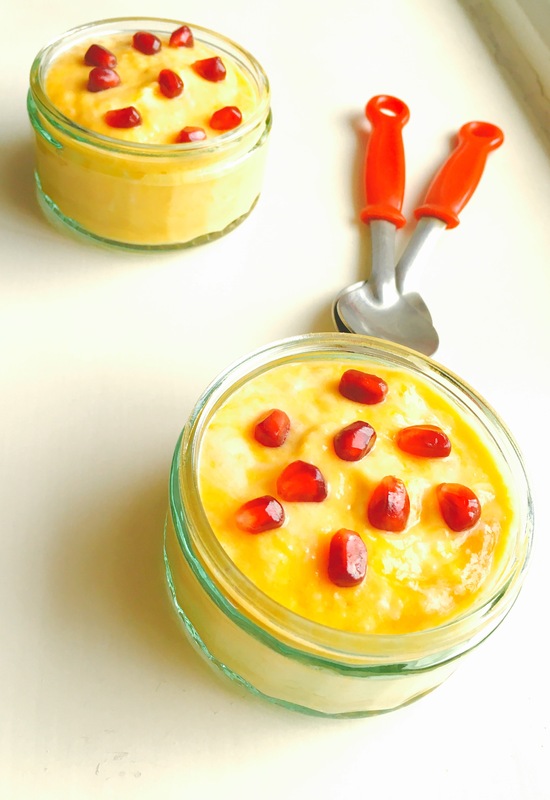 Next, in a mixing bowl, whisk the yogurt & mango pulp together, serve with a sprinkle of pomegranate – Ta da! Tip: If you prefer it sweeter then add some honey or agave nectar to balance it out – I recommend buying sweeter mangoes instead! 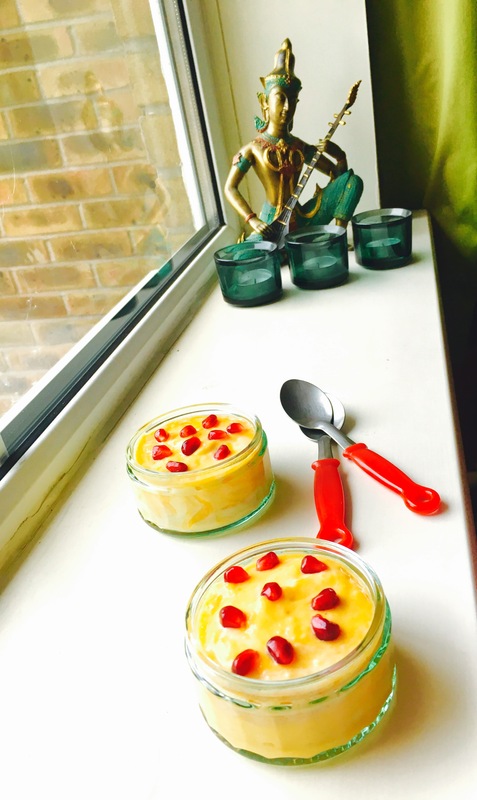 This recipe was inspired by fellow food blogger Anushruthi RK from Divine Taste – Thank you!